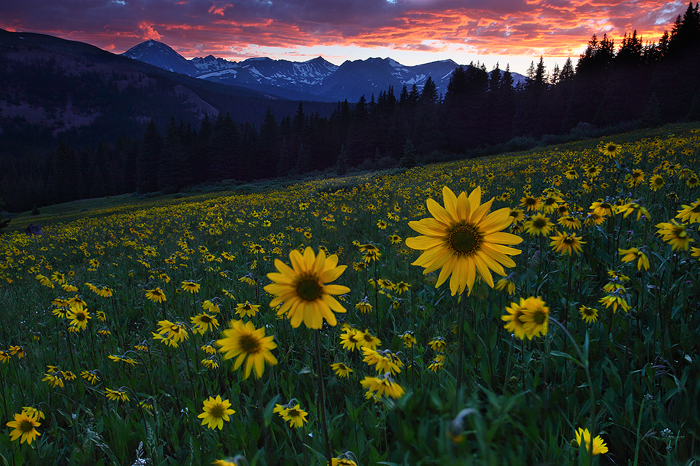 The life-giving sun has set behind the majestic peaks of the southern Ten Mile Range in Breckenridge, Colorado. All but the tallest of flowers have bowed down for the night. They all face east, awaiting the new sun that is soon to rise.